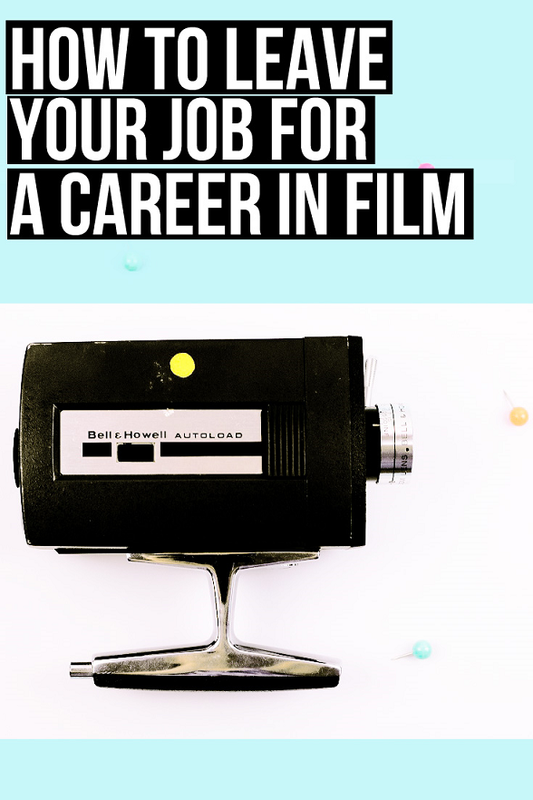 In this post I’m going to show you exactly how to start a career in filmmaking, even if you are currently working a full time job. I worked in the film industry for several years myself and I am now making a transition from working a full time job to being a full time freelancer once again. These next tips are based off my own experience of changing careers and my first hand knowledge of how the film industry works. If you want to work as a filmmaker chances are you will be a freelancer. Freelancing is self employment. Meaning you will be expected to find your own work, fill out your own taxes and you will not be entitled to any benefits that a full time job may have. On set crew jobs in the film industry are mainly freelance. However there are full time contracted jobs in film that come with all the benefits of a normal job. The majority of these jobs are office based work for production companies. There are also full time jobs in TV and some commercial company's. Transitioning from one full time job to another will be easier than pursuing freelance work. How to find full time film jobs? You can find these jobs on ordinary job sites like Indeed.com and the careers sections on company's websites. Type into Google major companies such as Netflix, MGM and BBC and see what jobs appear on their careers pages. There might be a job you can transition directly to from your old job. For example if you have an administrative job outside of film there are admin entertainment industry jobs. But I want to work on film sets! Film crew jobs are almost always freelance. Being a freelancer is hard and seeing as film industry jobs are ultra competitive it will be tough to get noticed and stand out. How to start a career in filmmaking is complicated, to do this you will need - work experience, film industry contacts, the ability to do one job in film to a fairly good standard. For example I started getting paid work in film when I had 5 credits on my CV within my chosen job title (Script Supervisor). This can be applied to any film job. If you want to be a Camera Assistant then you will need at least 5 work experience credits in this job role before paid work comes your way. Practical work experience lets you know first hand what film work is like and if it is for you. You can gain this experience whilst still at your full time job. To find work experience search and find productions that are happening near you online. You can find these on film jobs sites, social media or Facebook groups. You could work on a short film in the weekends, evenings or during your holidays. Yes this is hard but you need the experience and initial contacts to start a career in film. It is hard to find the time but unless you know someone who can give you a paid job you will need to ease yourself into film. If you have zero experience or are unsure what job to pursue in film start out as a runner on film sets. If you have never shot a film before, you can help out on small local productions (e.g. Productions for Church's, Charities, Student Films). Whilst you are working full time be sure to educate your self fully on the film industry, how it operates, the filmmaking process and the various job roles on set. Unfortunately just being a Filmmaker isn't a job role. If you want to be a cinematographer you may start out as a camera or lighting assistant. If you want to be a film director there is no specific job role that leads to this job - you can either make your own films in hope to get noticed or start out in any of the film departments. If you like working long hours and don’t want to spend a lot of time at home then film work is for you. The movie business is relentless, film crew daily shifts are often above 12 hours a day (6 days a week). This is why filmmakers often mix their time working on creative films with more stable work such as corporate work or commercials. The reality of being a freelance filmmaker is uncertain pay, uncertain work and long work hours. The reality is that a career in film and TV (especially features) is not for everyone. It wasn’t for me and it isn't a happy existence for a lot of filmmakers out there. The truth is it is unlikely you will want to only work on feature films. Your work will be a mix of creative and commercial work (this is reality for most filmmakers). When I started out in film I was young and only taking care of myself so taking the leap into film work was easier. This will be different if you have a family or need a higher income. Try to cut back all expenses and if you can begin to save money - as one day you will need to take the plunge and leave your job. To pursue filmmaking full time I recommend having 5 work experience credits within your chosen job role (yes it could take a year or more to get these). You can ease into freelance work by reducing hours at your job or taking on a temporary part time job. I am currently working 2 days a week as I pursue my new freelance career (blogging). Last year I was working full-time, I have reduced my work hours so I can spend more time on this. This is the reality of work, unless you are lucky and have a lot of savings you need to ease yourself into a new career. The reality of film work is not easy. The film industry is competitive, unreliable and it will take many years to pursue a new career within it, however it is possible.